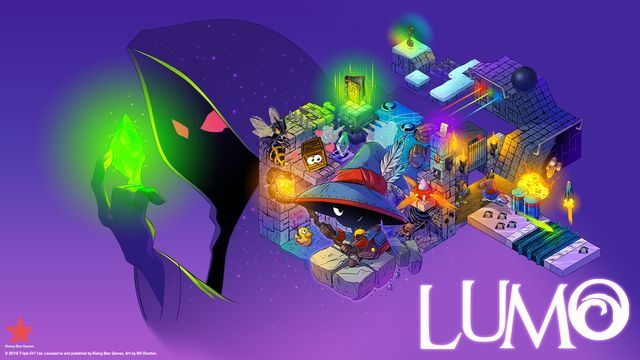 Lumo is an isometric puzzler created by Gareth Noyce. These type of games are something of a lost genre and were most popular back in the 80’s and 90’s. I have fond memories of playing games such as Knight Lore and Batman on the ZX Spectrum and Head over Heels on the Commodore 64. 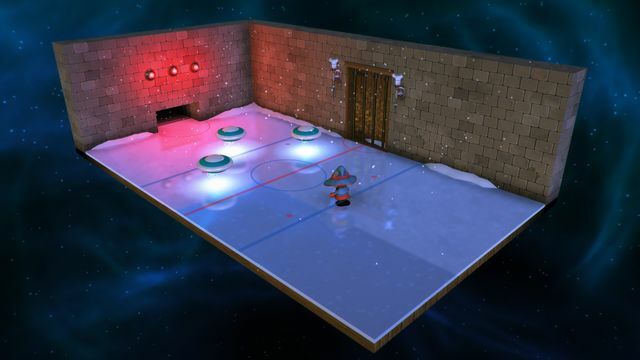 Head over Heels is actually one of my all time favourite games and parts of Lumo have been heavily inspired by it. 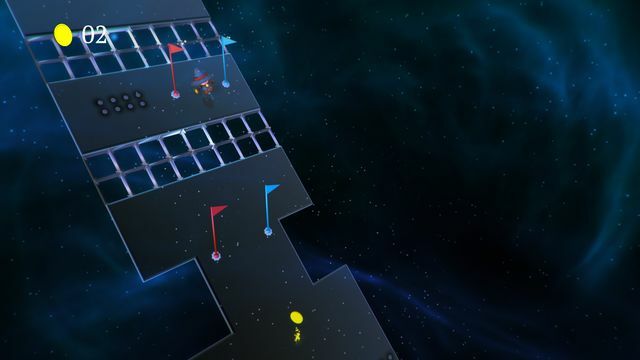 Before you play Lumo, the game lets you choose between three different control methods. It allows you to take each one for a little test drive to see which suits you the best. There’s also a choice of Adventure or Old School modes. Most players should probably start off on Adventure which gives you infinite lives, maps and the ability to take your time and save whenever required. Old School is where the real challenge lies and features finite lives, no saves, no maps and a timer so you can see how long you’ve been playing. 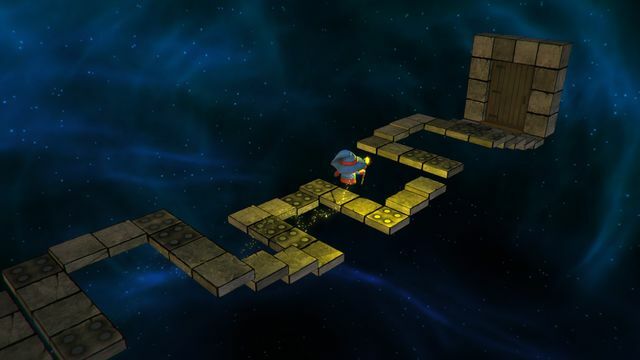 In the game players take the role of a little wizard with a big floppy hat. 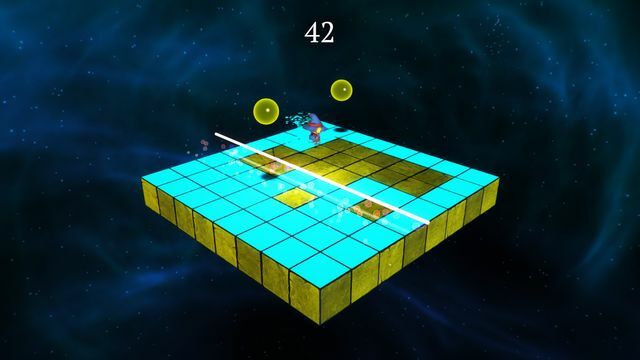 Initially you can move around and perform a tiny jump which by design is next to useless. 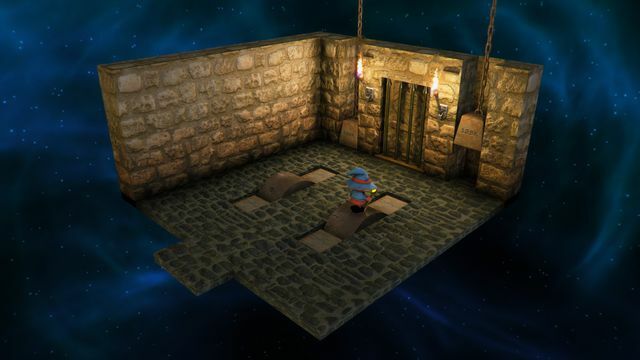 The aim of the game is to progress through the 400+ rooms that stand in your way. 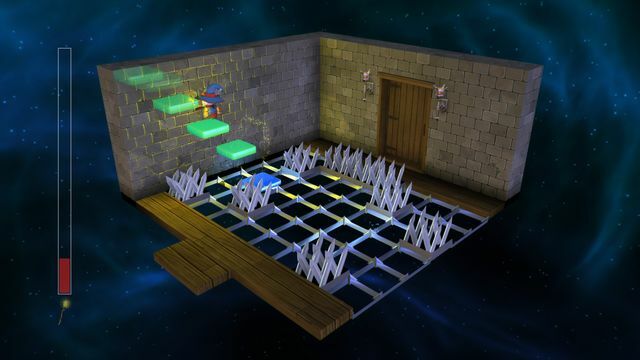 Each is a mini challenge that simply requires you to make it across the room to an exit door. Things start off very easy while you get familiar with the control scheme. 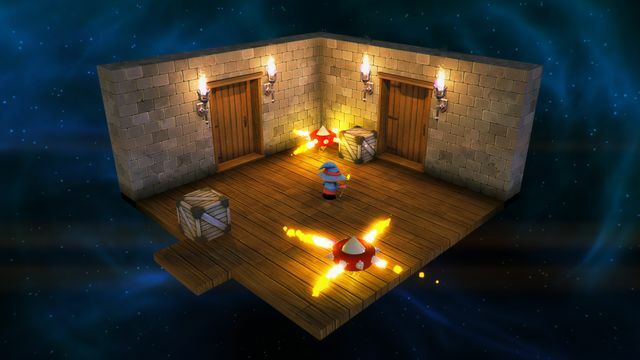 If you’ve played isometric games in the past you’ll likely feel comfortable quite quickly. However if you are new to the genre be prepared for a bit of a learning curve. 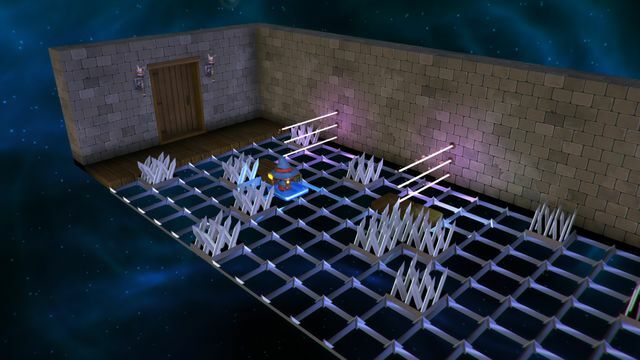 To help with this the initial rooms act as a tutorial of sorts and demand very little of the player. After the initial rooms you find an object that once absorbed allows you to permanently jump higher. This is when the game really begins and the challenges gradually become more demanding. 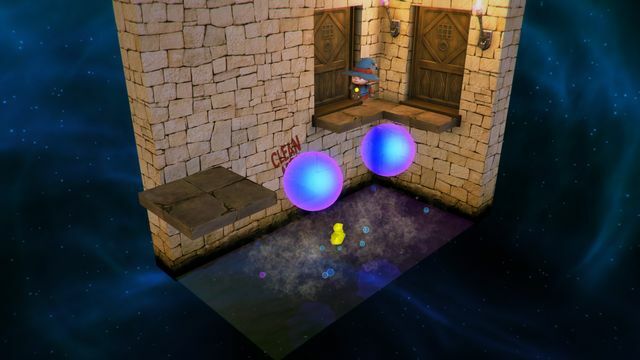 Lumo requires plenty of platform jumping and much of it needs you to be very accurate with your jumps. In addition to the jumping there are many different elements that are introduced on your journey that keep things interesting. To begin with there are switches to press, boxes to push and keys to discover. 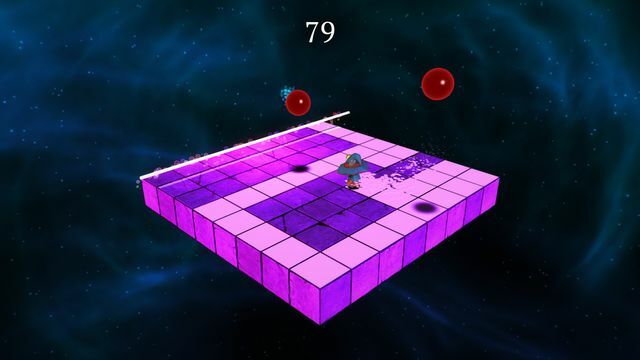 Eventually more complex elements arrive such as boxes that will follow you when you get close, spike traps, disappearing platforms, spinning flamethrowers and lasers to dodge. Water is hazardous to begin with and jumping on boxes will make them sink. 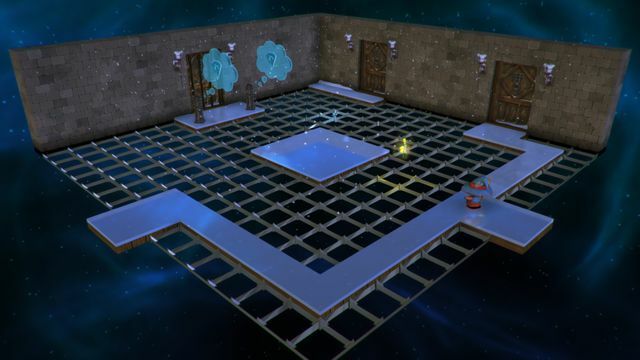 Later in the game are puzzles where you can go underwater and need to manage your oxygen levels. 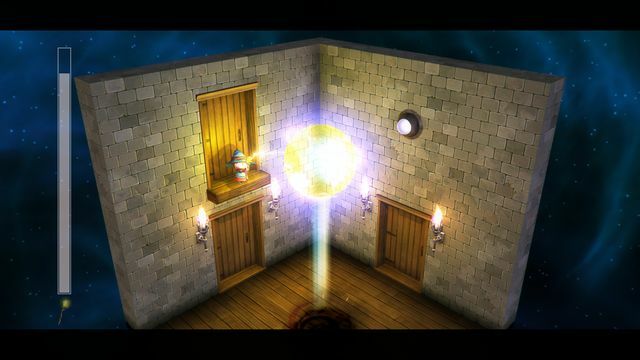 Part way through the game you also discover a lamp that has limited fuel. 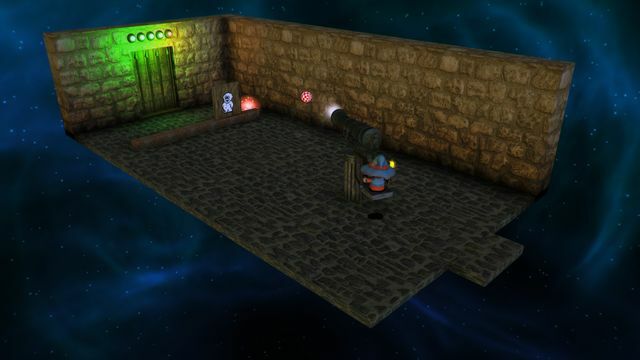 Using the lamp can scare away enemies and reveal hidden platforms. 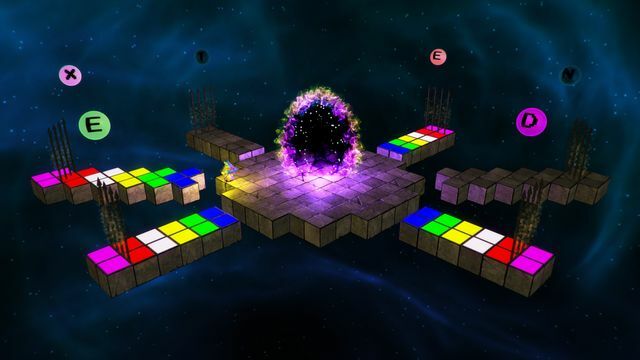 The majority of the puzzles make it quite easy to work out what you need to do but certain ones can be very frustrating to beat. There are ice levels where you slide and keep inertia which can be maddening. Also some of the jumps are tricky and you have to be spot on to make them. The most difficult jumps of all are those that involve multiple chains to swing on. These can be tough to judge and require a little trial and error. 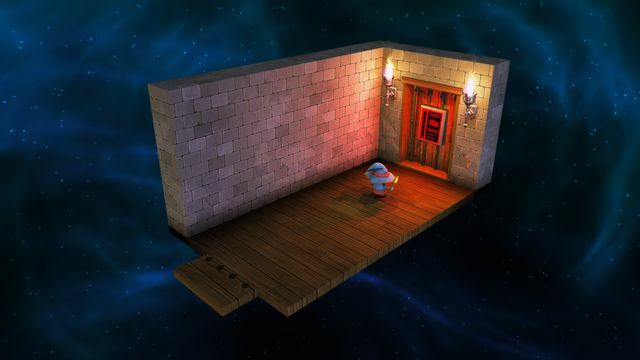 Each time you beat a room there’s a little sense of achievement and the feeling of getting past a particularly tough room is wonderful. A nice thing is that there is very little backtracking so you don’t have to keep redoing the same rooms over and over. 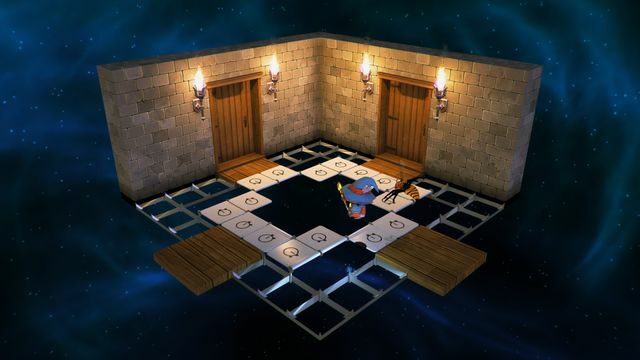 The hardest thing to master from this type of game can come from the fixed perspective isometric camera. It can make it difficult to judge depth and work out exactly where certain objects are in relation to your character. The game makes brilliant use of lighting and shadows which really help with this. It’s also possible to use the shoulder buttons to move the camera a couple of degrees to the sides. Finding your way around isn’t too bad and there are maps you can discover in Adventure mode. These feel like the hand-sketched maps I used to make when I was young to remember my way around a game. A slight downside to them is that they don’t highlight where you are or where you haven’t been, so you still need to remember these things yourself. 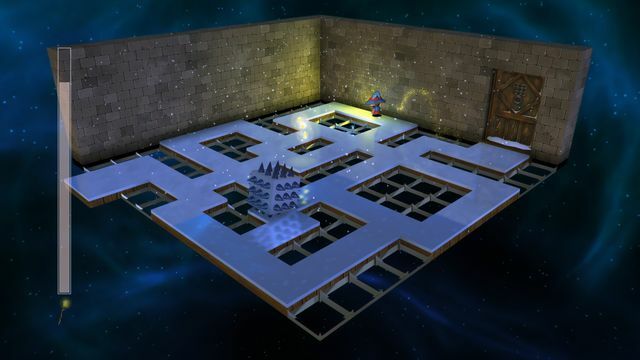 Lumo is jam-packed with little nods to games that will be most appreciated by older gamers. It will take multiple plays to discover everything. 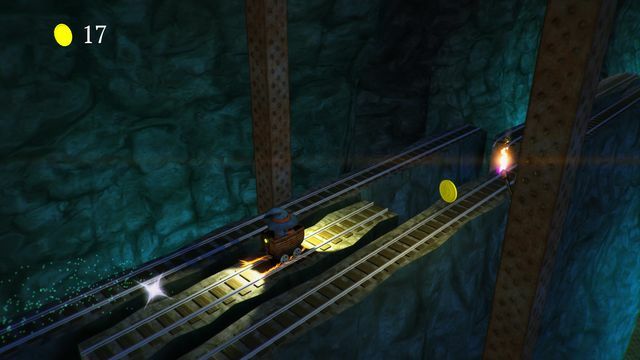 The gameplay is also broken up by little mini-games including a ride in a minecart and sections based on classic games such as Nebulus, Horace Goes Skiing and Q*bert. 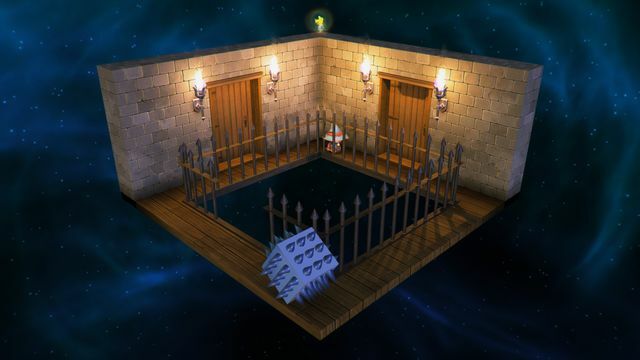 In Adventure mode you don’t need to worry about dying as the only penalty is to restart the current room from the last door you came through. Playing on Old School is much tougher and requires you to be a lot more careful as once your limited lives are up it’s game over. Once you’ve beat it in adventure more you’ll want to come back for Old School. 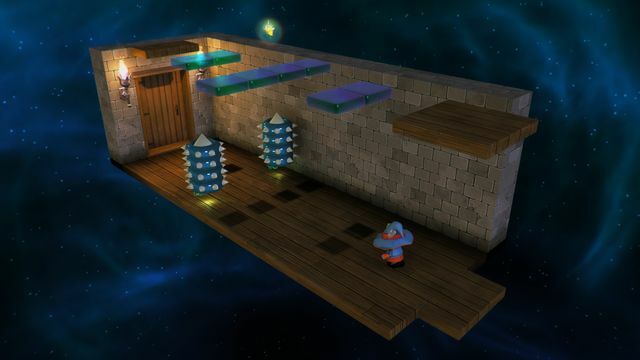 It’s also a perfect mode for players who like difficult games or enjoy speed running them. The other thing that will keep you coming back to the game is the huge number of collectibles to discover. There are coins, letters, and rubber ducks to be found in the environment. The ducks require you to jump to them and bounce off them to safety. At the end of each main section you are rewarded with a piece of storage technology. Hidden cassette tapes are also available to discover which often means escaping a room without using the doors. This can be climbing up shelves to jump over the top of the wall or leaping out of the screen in certain places. 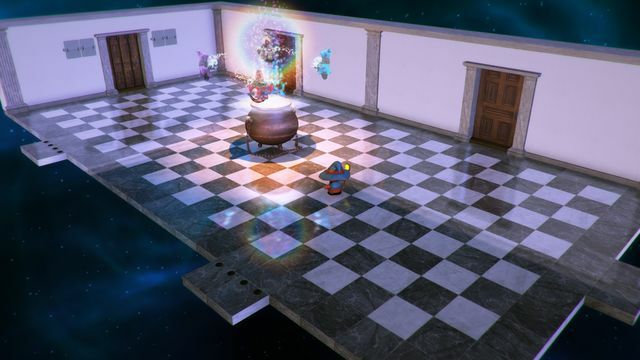 Lumo is a charming game that has made me realise just how much I’ve missed the genre. It’s a well put together package that will be sure to please fans of the genre and new players alike. Old School mode is going to keep me busy for months. Highly recommended. Tags Gareth Noyce Just Add Water Lumo PS4 Rising Star Games Triple Eh?